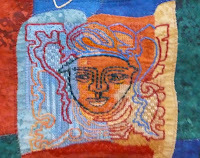 On 23 November Wendy Dolan gave us a fascinating talk on her work and the techniques she uses to create her stitched designs. 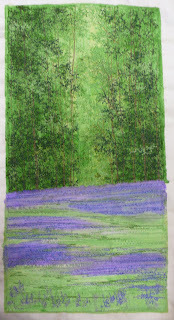 She began by briefly telling us about her background and interests in embroidery and creative stitch. 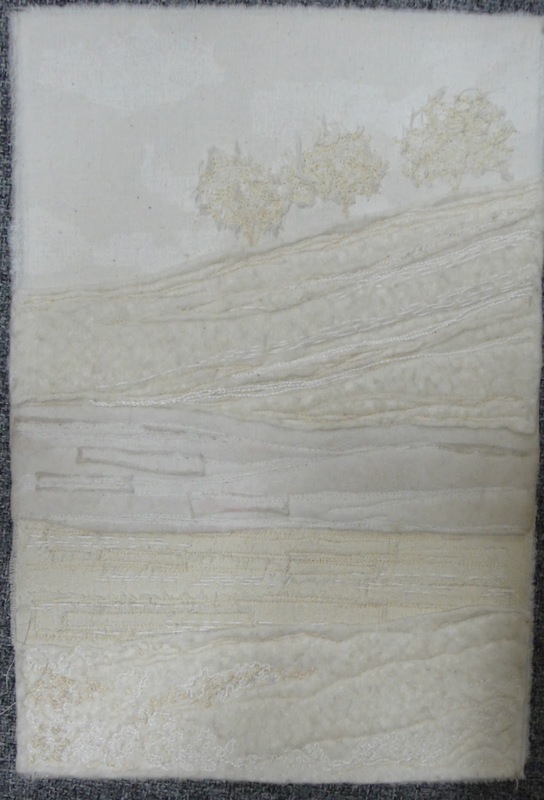 She enjoys working with texture and combines natural fabrics, such as cotton, linen and silk to create interesting surfaces. 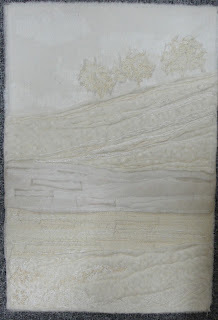 She starts with white fabrics, applies stitch, then colour, then more stitch! She develops her designs by sketching, mark marking, taking photographs, making paper collage and keeping notes of her ideas. She explained the techniques she uses to create her beautiful artwork. 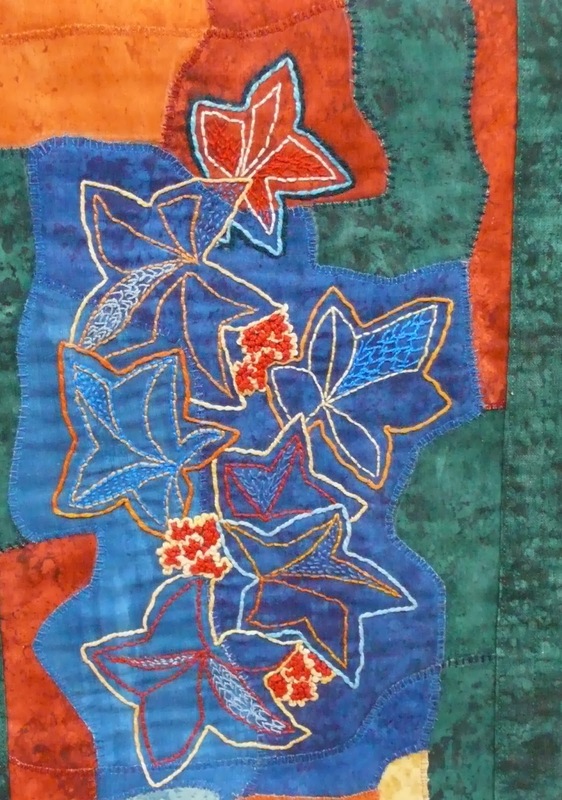 This involves piecing, patching and layering fabrics to create texture. 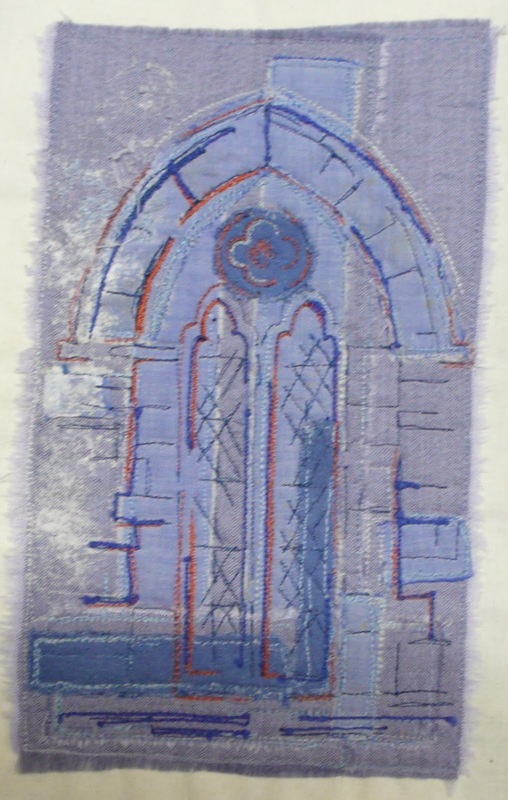 These are then stitched down using machine and hand embroidery. 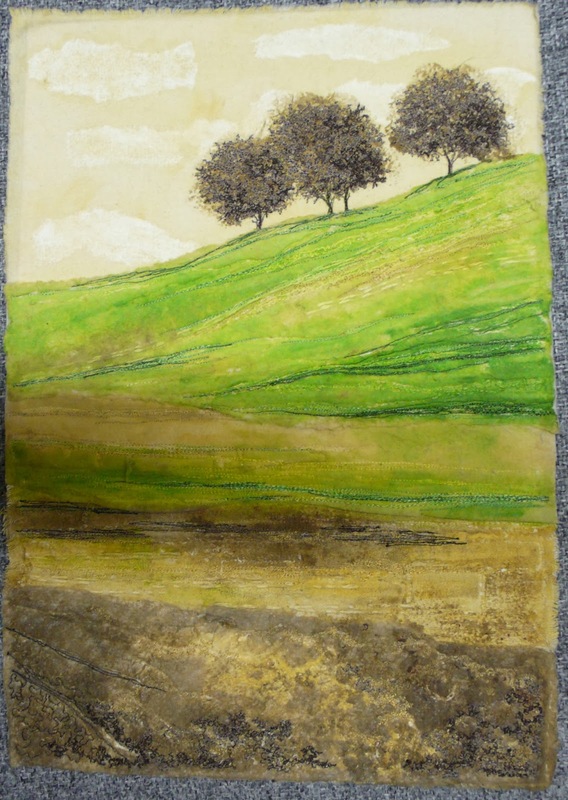 The next stage involves applying paint, followed by further stitching. Her inspiration comes from the landscape, flowers, natural forms and architecture and she enjoys focussing on detail and texture. She also derives inspiration from other artists. 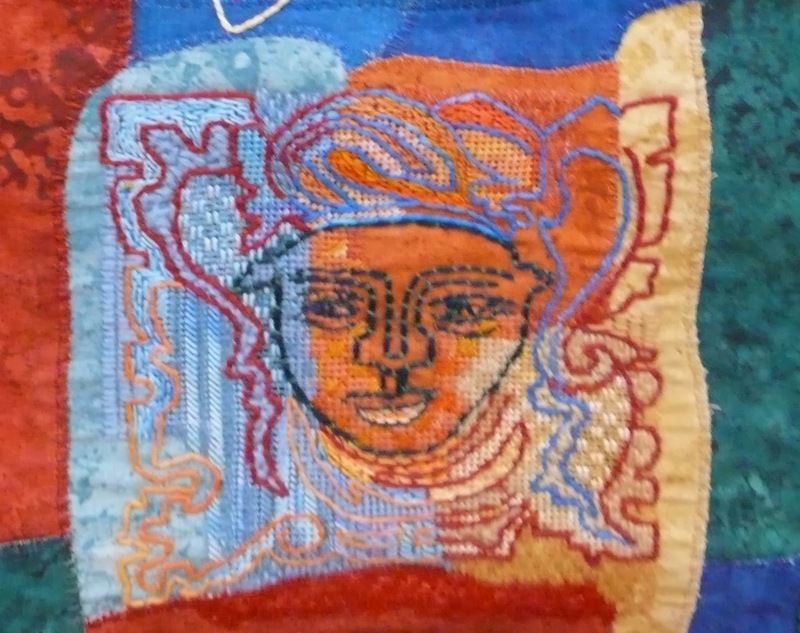 She talked about the commissions she has undertaken, including making the theatre curtains for the cruise liners Legend of the Sea and Grandeur of the Sea. We all thoroughly enjoyed the evening, thank you very much Wendy for a very entertaining time. We're looking forward to the workshop on Saturday!